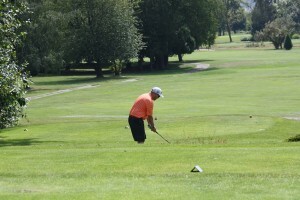 The Men’s Club of Surrey Golf Club was formed shortly after the course opened in 1971 and has flourished since that time. As the membership has aged, the need to establish senior clubs emerged. The clubs at Surrey are known for offering keen competition and a special brand camaraderie that has helped maintained healthy memberships since their inception. Founded nearly the same week the golf course opened in 1971, the Surrey Men’s Club is a vibrant club of over 100 players. A good mix of low handicappers, mid handicappers and high handicappers characterize the club, all whom all share the same bond – they love golf! The Men’s Club plays Saturdays from 6:30 a.m. to 10:15 p.m. and Sundays from 8:00 a.m. to 10:30 a.m.
State of the art handicapping & tournament services (BCGA System). Events are scheduled each weekend from March to October for the interest and enjoyment of the club members. Contact Surrey Golf Club for more information. Play commences the first week in April each year and spirited play coupled with good company each week characterizes the Tuesday Senior’s Men Club. 10% all menu items excluding specials or alcohol. State of the art handicapping and tournament services (BCGA System). Minimum age is 55 years old. Play commences the first week of April each year and spirited play coupled with good company each week characterizes the Wednesday Men’s Club. The Wednesday Senior Men’s Club plays each Wednesday April through October commencing 7:30 a.m. and also plays informally Wednesdays mornings through the winter, weather permitting. 10% off menu items excluding specials or alcohol.